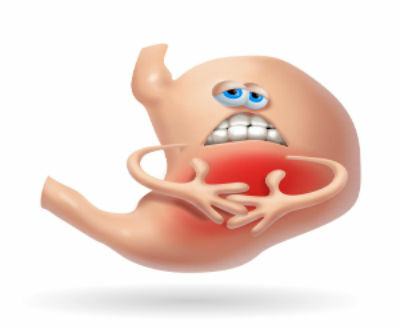 Digestive stress is a frequent visitor in many households during the holidays. Diets change, as do sleep and work habits. People will blame these lifestyle changes for the digestive stress they are experiencing, and while this can be partially true, there often is an underlying cause in the spine and nervous system. The nervous system controls your digestion and every other function of your body. A vertebral subluxation or a spinal injury that interferes with the normal function of your nervous system in the area that is responsible for healthy digestion can cause many types of digestive stress. A case study in 2003, published in the Journal of Vertebral Subluxation Research, revealed that a 32-year-old female patient had her chronic condition of colitis relieved when subluxation was detected. Another case study from the same source reported that of 17 Crohn’s disease patients who received spinal adjustments, 12 showed long-term and stable remission. The findings concluded that vertebral subluxation is a common and characteristic finding in patients with Crohn’s disease and allergies. In another published case study, a young woman had been afflicted with Irritable Bowel Syndrome, or IBS, symptoms once or twice a week for five years. After one adjustment, she noticed an easing of symptoms and within a short time all of her digestive problems disappeared. When the report was published two years later, she was still symptom free. Many people deal with stress through deep breathing, meditation, exercise and healthy food choices. These are all very good things to do as part of your lifestyle to counter-balance stress, but if your nervous system is pre-stressed from subluxations, the slightest deviation from the “perfect” stress management plan can send you into a frustrating, uncomfortable, or painful digestive tailspin. Research shows that it only takes the weight of a dime to reduce nerve transmission. Additional research has found that nerve compression can exist without pain and can cause deterioration within two weeks. In this pre-stressed condition, your body becomes more vulnerable to outside stresses while other people who are subluxation free may be much more resistant to stress. Crisis care is one way to deal with stress by only receiving chiropractic care when you are hurt. A better option is to make the critical transition to Lifestyle Care, keeping your nerve system healthy all the time. This will help you to stress less, live more, and enjoy the quality of life you deserve for 80, 90, 100 years and beyond. Visit our YouTube Channel to watch more great videos from Active Health Chiropractic. And if you’re interested in learning more about the 100 Year Lifestyle, visit the 100 Year Lifestyle channel on YouTube. Are you suffering from Neck Pain, Back Pain, Shoulder Pain, Headaches or other Nerve, Sports or Accident related Injuries? Are you searching for Family Wellness, Pediatric Chiropractic, Performance Based or Natural Holistic Care? Powered By The Family Practice, Inc.